It seems like just a few years ago there were only one or two non-dairy yogurts on the market—and none had quite nailed the whole taste and texture thing. Today, on the other hand, you can find alternative yogurts made from almonds, cashews, coconut, plantains, and even oats! And many are packed with loads of glorious probiotics to boot—and all of which make an ideal base for your favorite grain-free granola. What a time to be alive! 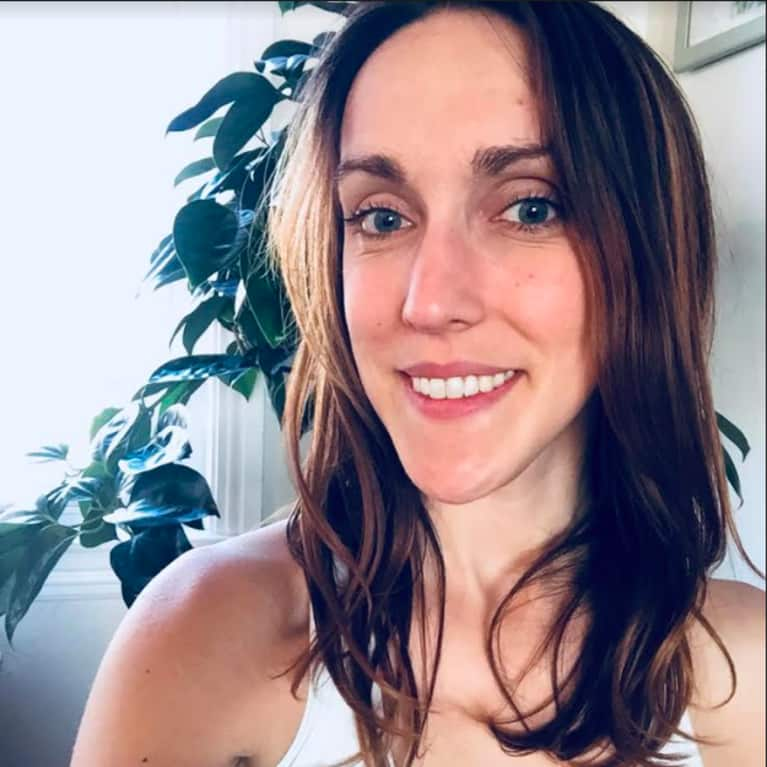 The only problem: choosing which plant-based option you’re going to try first. 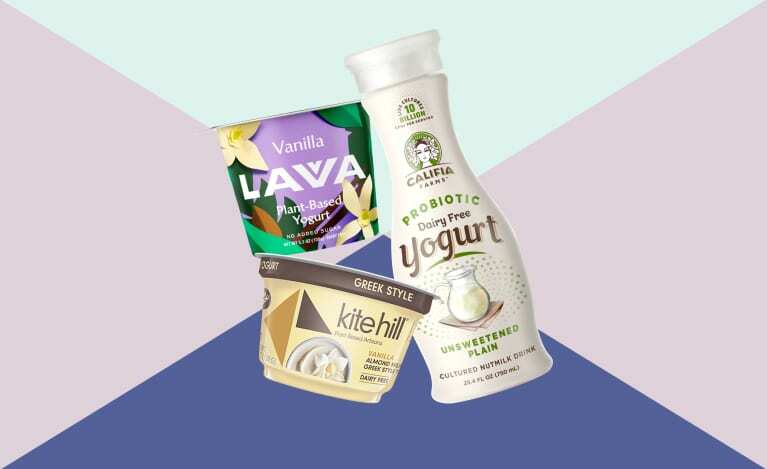 Here, we’ve rounded up the 10 best plant-based yogurts on the market that appeal to all tastes and dietary restrictions—a couple are even keto-friendly! 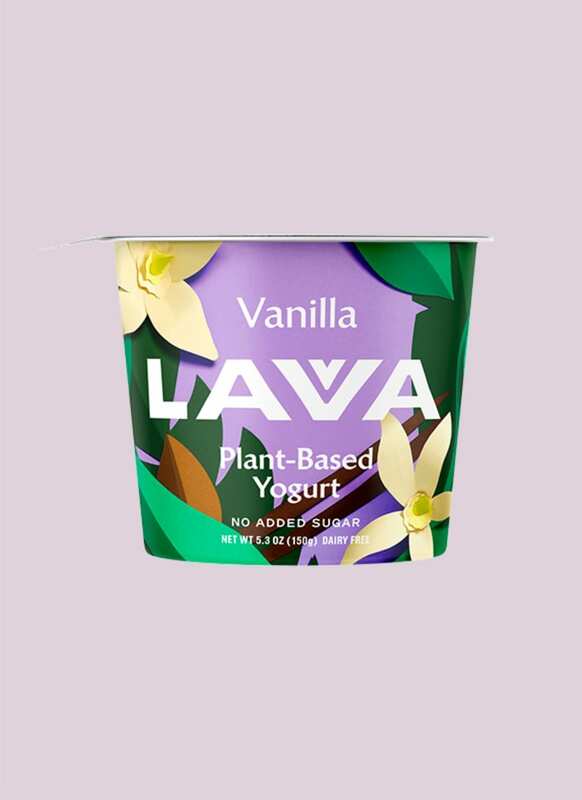 This plant-based yogurt from LAVVA may just come the closest to nailing the texture of traditional dairy yogurt—and it has the most intriguing ingredient list of them all. 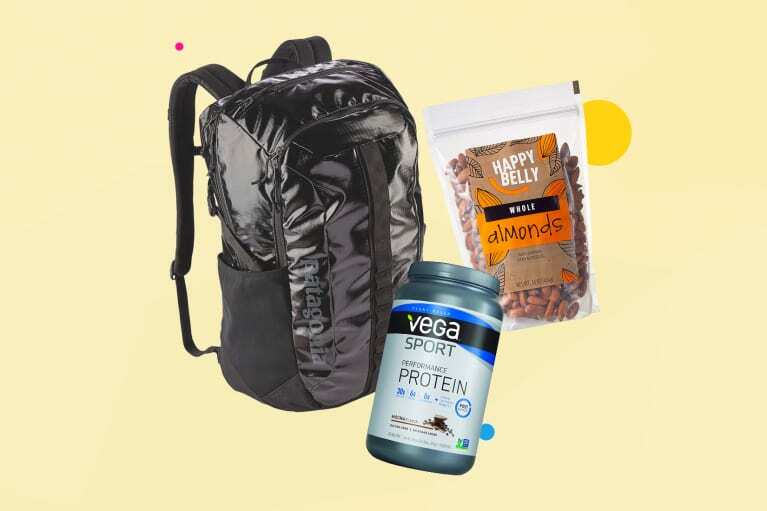 Made with magnesium-rich pili nuts (which you’re about to start seeing everywhere), fiber-rich plantains, coconut cream, and 50 billion live active probiotic cultures, it’s absolutely packed with nutrition. It’s low-sugar and gets all its natural sweetness from real foods like whole fruit and vanilla bean. Available in seven flavors: original, vanilla, pineapple, strawberry, raspberry, blueberry. You’ve tried oat milk, you’ve even tried oat milk ice cream, but are you ready to take your oat milk obsession to the next level? 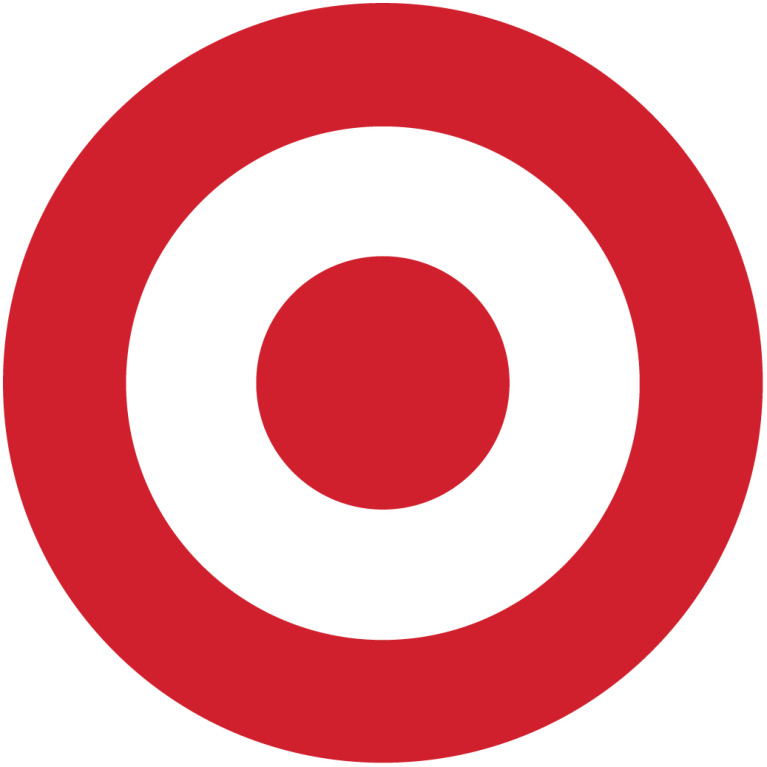 Yeah, we are too. 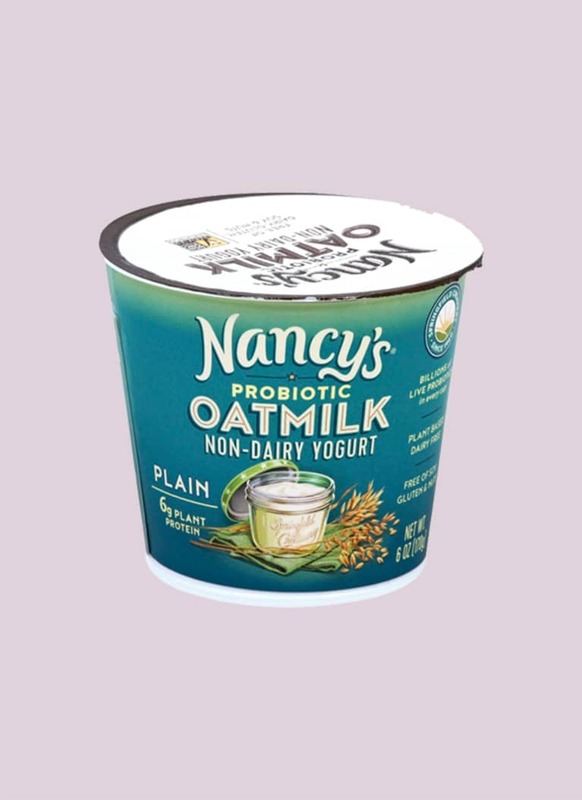 This oat milk yogurt from Nancy’s has a slightly oaty, slightly tangy flavor that we can totally get behind. Made with oat milk, fava bean protein, coconut oil, and live active probiotic cultures, it’s the perfect breakfast hybrid. Available in four flavors: plain, blueberry, strawberry hibiscus, and vanilla. 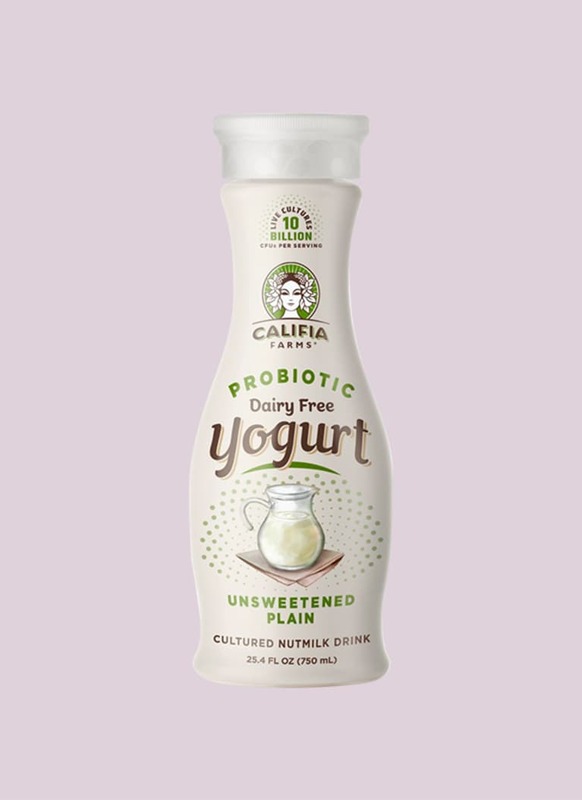 It’s no wonder that Califia—maker of some of the tastiest non-dairy milks on the market—would get into the alt-yogurt game. 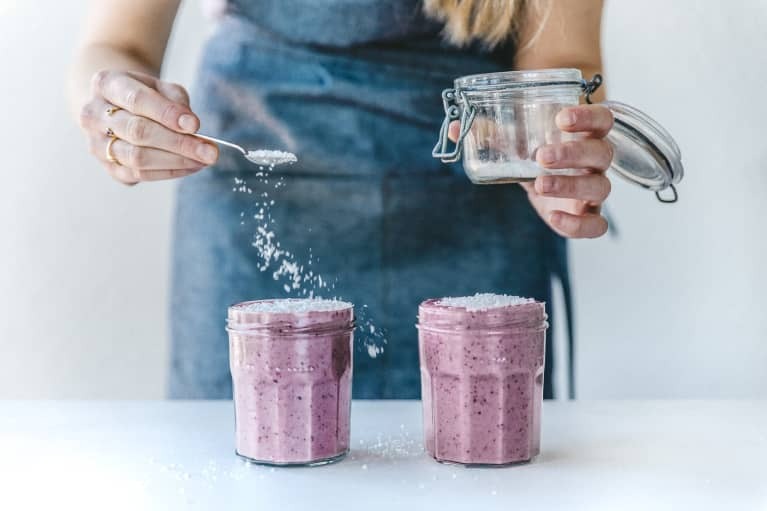 Made with almond milk, coconut cream, and oat fiber, its texture is creamy but still sippable, making it the ideal addition to fruit- and veggie-packed smoothies. And with just 3 grams of carbs in the unsweetened version, even keto dieters will be stocking up on this stuff. Available in four flavors: strawberry, mango, superberry, and plain. While the name Coconut Cashewgurt doesn’t exactly roll off the tongue, the combination of coconut cream and cashews delivers one creamy, dreamy texture. Featuring 6 different strains of probiotic bacteria, it’s a great dairy-free way to keep your gut happy too. Available in four flavors: coconut, lime, berry, and mango. Even the big dairy companies are getting in on the plant-based game. 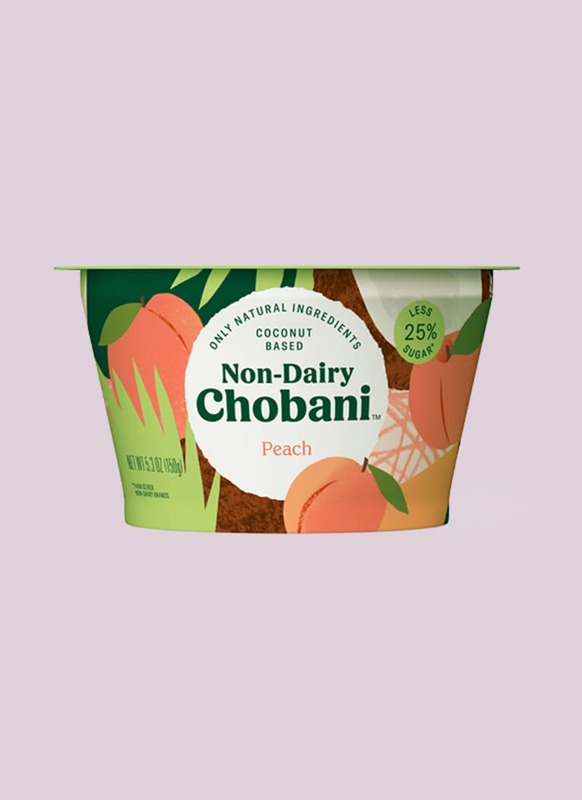 Earlier this year, Chobani launched nine new coconut-based yogurts, accepting that non-dairy yogurt is here for the long haul. 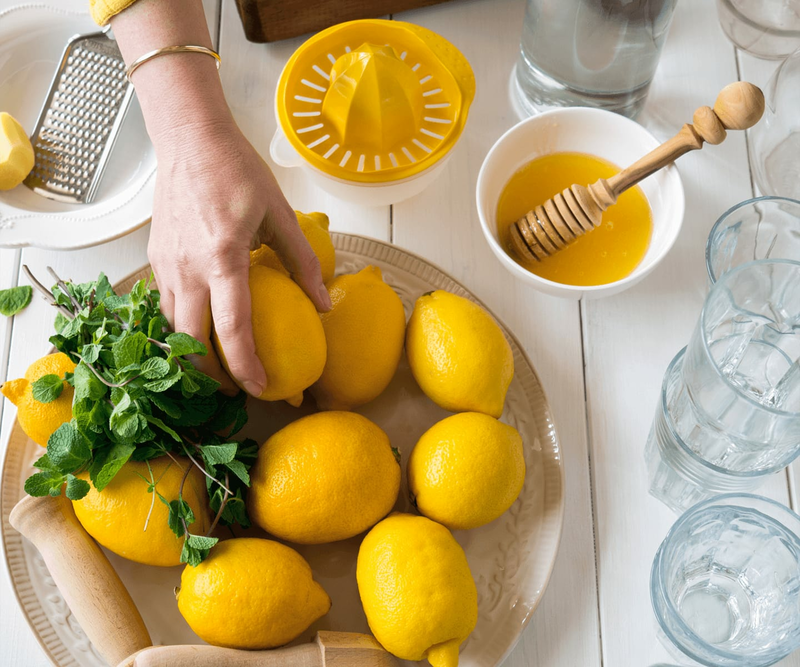 Free of all artificial ingredients, this plant-based pick achieves its color and flavor from veggie juice, real fruit, and a bit of cane sugar. Available in five flavors: blueberry, peach, plain, strawberry, and vanilla. 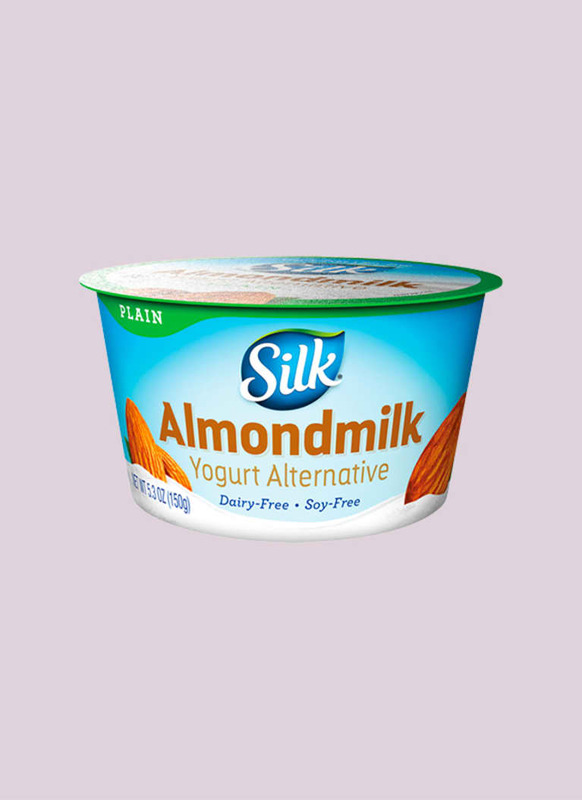 Silk has been a master of almond milk for years, so it’s no wonder they’ve figured out how to whip this nutrient-rich nut into a smooth, creamy, not-too-sweet dairy-free yogurt. 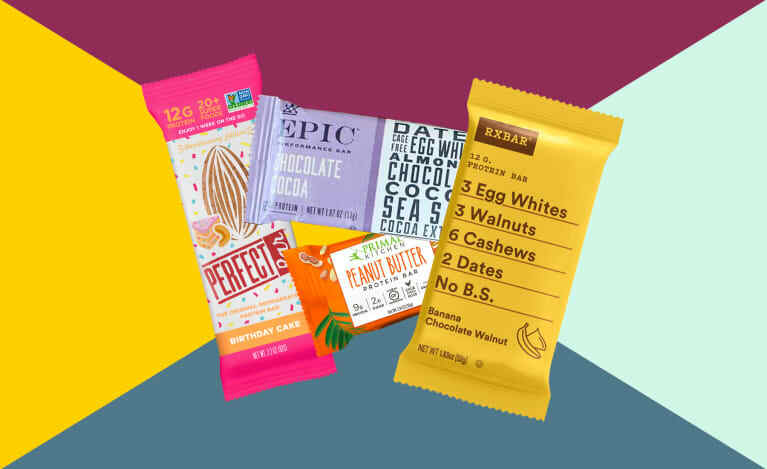 With a simple ingredient list, 6 grams of filling protein, and 15 percent of your daily value for vitamin D, it’s the perfect little snack to curb those 3 p.m. sugar cravings. Available in five flavors: strawberry, vanilla, peach, plain, and dark chocolate coconut. 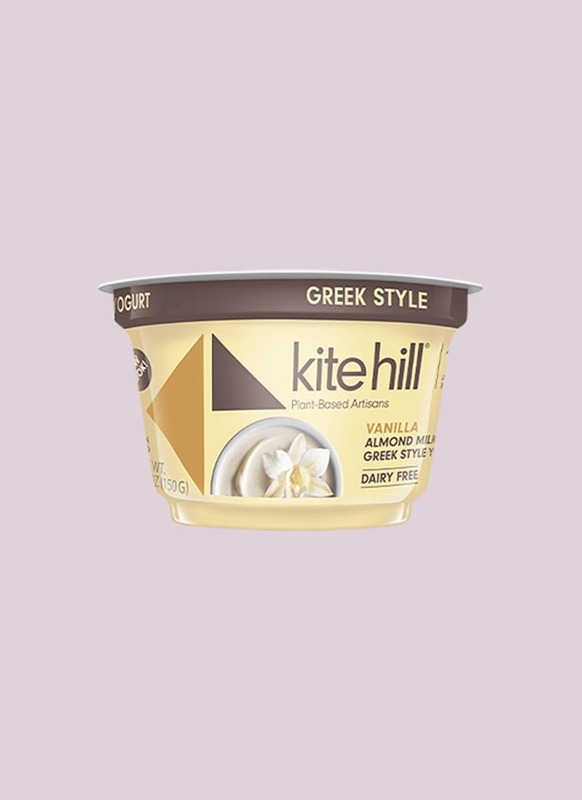 Possibly the thickest of the bunch, this Greek style yogurt from Kite Hill is made with almond milk and will keep you full with 11 grams of plant-based protein and 14 percent of your daily value of fiber. While flavored varieties pack a reasonable 12 grams of sugar, plain contains a mere 2 grams. Available in seven flavors: plain, vanilla, strawberry, blueberry, peach, mango, and black cherry. 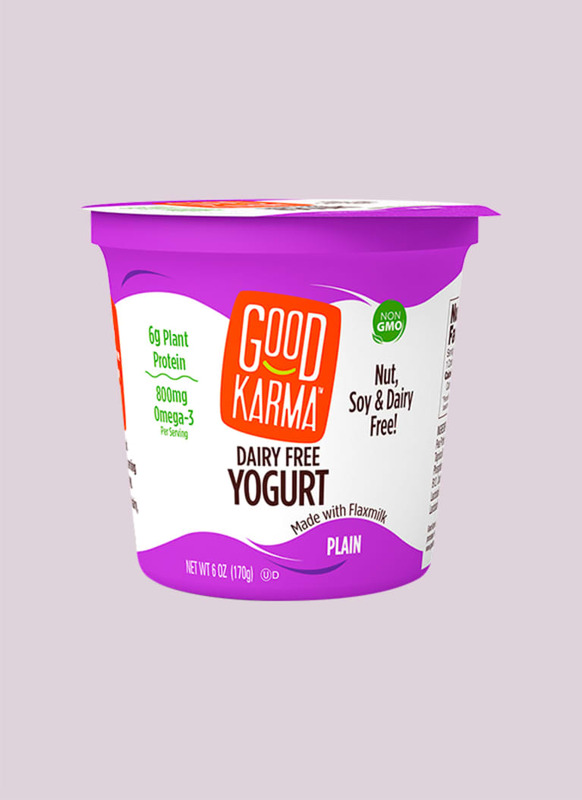 This nondairy yogurt from Good Karma sets itself apart with an unexpected key ingredient: flax milk, which delivers 800 mg of plant-based omega-3 fatty acids. 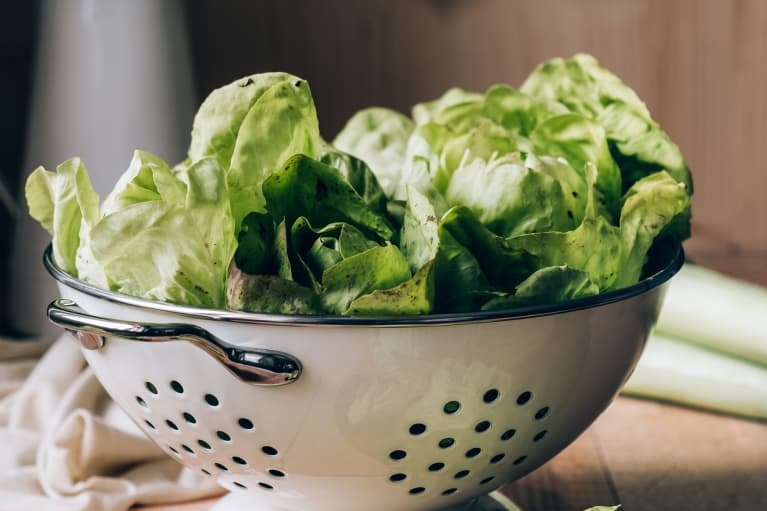 Pea protein adds 6 grams of protein to keep you full, probiotics add a dose of gut-friendly bacteria, and a complete absence of nuts makes this a smart allergy-friendly pick. Available in five flavors: plain, vanilla, blueberry, strawberry, and raspberry. The plain, unsweetened So Delicious yogurt is the perfect blank canvas to load up with berries, nuts, granola, and maybe even a couple dark chocolate chips. 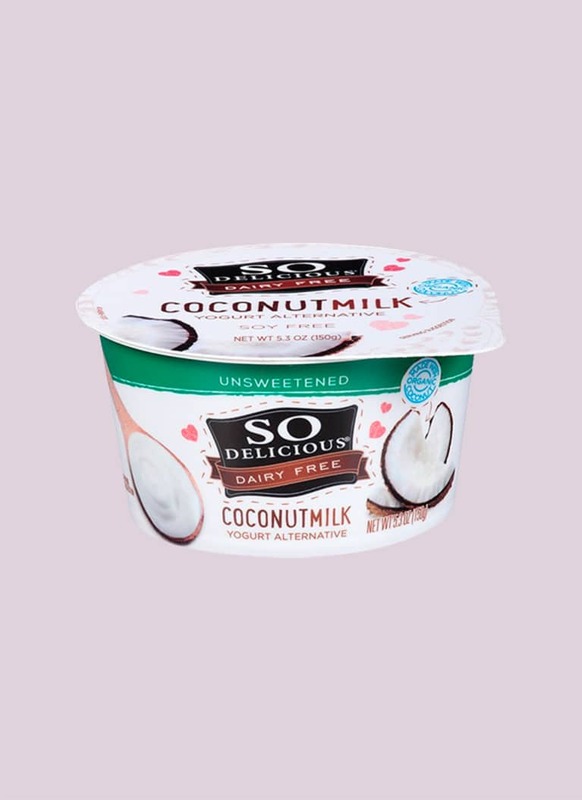 Made with coconut milk and live active cultures, it’s also one of the few brands that fortifies its product with vitamin D and vitamin B12—making it a smart pick for vegans looking to load up on those normally animal-based nutrients. Available in 13 flavors, including plain, strawberry banana, key lime, vanilla, and mango. 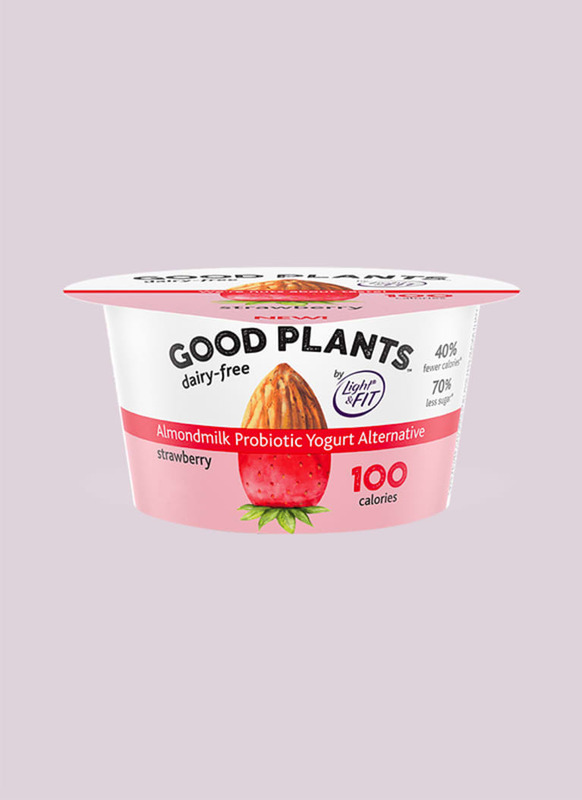 Dannon’s alternative yogurt line Good Plants is even more proof that big dairy sees the value of plants! 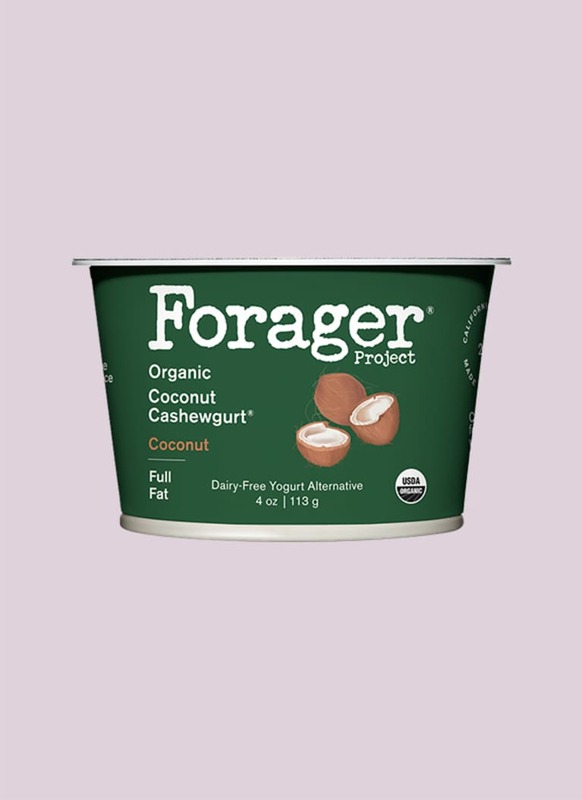 These yogurts—featuring almond milk, fava bean protein, and chicory root, among other ingredients—are absolutely packed with fiber (nearly 30 percent of your daily value), offer a nice dose of protein (5 grams), and contain no artificial ingredients. The sugar count stays low even in flavored varieties (just 4 grams), thanks to a bit of stevia.